The Art of Getting By is a movie that wasn’t very good. I don’t recall much of it, except the title was appropriate for this article. The general idea of PCI-DSS is that it’s easier to maintain the compliance than to first obtain it, and while there are nuggets of truth there, we would venture to turn that idea upside down: It’s much harder maintaining it that to obtain it. Maybe it’s like marriage, where after the wedding and honeymoon, the real work begins in ensuring you have 40-50 years left in the tank with your partner (depending on when you tie the knot of course, and in some cases, depending on how many kids you end up having. That’s added stress.). In some ways, it’s similar, and over 8 years of PCI experience had taught us that while we should always (again – ALWAYS) celebrate the success of first time compliance to PCI, we must not forget what lies ahead of us. PCI Council realises this and in Appendix A3 of their PCI standard, lists out a few extra things for DESV (Designated Entities Supplemental Validation). It must be noted however, these are not automatically mandatory for PCI companies, but for companies designated by their card brands or acquirer based on risks and oftentimes, volume of transactions. If you are not required to go through DESV, don’t go searching for it. DESV puts in a few extra components to the PCI standard. One of the requirements is to Implement a continuous PCI-DSS program in the organisation. What has been noted by the council is that while many companies do attain PCI-DSS, they treat the standard as an event they need to get by each year. This means companies, instead of practicing PCI in their daily work, seek to re-certify each year based on a series of checklist they need to do at that point in time. Which isn’t cool. But that’s how almost everyone approaches it. It’s like taking your semester exams in University. It’s not like in day to day living, we are thinking about the real value of x in a log2 equation or what are the prime numbers that are relevant to your life. We are just thinking about hanging out, cutting classes and kicking up dust. When the exams come, we mug, we eat ramen noodles for every single meal, we don’t go out, we don’t sleep and we generally try our darnest not to fail, and then the whole cycle of meaninglessness begins again. I don’t really recall much of my university days, as you can tell. And that’s how PCI is sometimes approached. So how does one stay compliant, instead of just pass compliance? We hear this a lot from our management text books. Management Buy In. Unless we have a top down support and sponsor on compliance, PCI is going to be a drudgery faced every year. IT is going to be bombarded with all kinds of requests on top of their already busy day to day work. 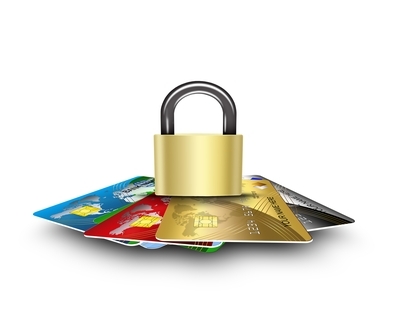 Most success comes if the business recognises the importance of PCI to their organisation. We have some rare instance where clients do PCI just “because they want to, and they want to look good”, but more often than not, those attempts fizzle out once they realise it’s a rabbit hole you can’t get out of. A cost benefit analysis is key here, and a business case needs to be built, because you are going to end up spending a lot in this compliance, and that spend should be backed up with sound revenue and business in the pipeline – directly generated because of your compliance. You need a go-to guy, or a go-to group for this compliance. We have experience where PCI is dumped into an organisation and every week we are dealing with different people. We have one customer who named a project manager to lead the project and his appearance in our meetings is as rare as Yeti sightings. We sit in the meeting and we go, “Where’s so-and-so?”. Some wide eyed junior IT guy goes, “Oh he’s busy with another project, and I am asked to lead”. Anything we discuss, he just goes, “OK, I need to check with so-and-so and get back to you.” Without decision makers in the team, we end up going around in circles and before you know it, 6 months have passed and we are still on the same agenda. It’s like going 3 levels deep in an Inception dream. Get a team. You don’t need to bring in 20 people in the meeting where 18 people sit away from the table, typing furiously at their laptops as if they are writing the next War and Peace novel. 3 or 4 key guys: Person in charge, network and server team representatives, developer rep and if you have SOC/security team rep. Everyone should either be an influencer or a decision maker, and we are good to go. Those are just part of the listing. So unless you plan to have sleepless nights during the audit period, it’s best to get these done as part of your day to day. We need to note that in most cases, these should be practiced in any case, regardless of PCI or not! Yes, a lot of these are easier said than done. We are aware teams are being pulled sixteen different directions and PCI is just one of it. It falls back to how critical this compliance is. To many, it’s required to continue their business as it is a contractual obligation. So it’s not just about getting by, although in some cases that might work – but for PCI, we would recommend to embed these practices as much as possible into your organisation, so that when audit season comes, you don’t end up overeating your Ramen noodles. Get in touch with us through pcidss@pkfmalaysia.com for any enquiry on PCI-DSS! This entry was posted in IT Audit, IT Compliance, IT Security, PCI-DSS, PKF Avant Edge and tagged it audit, IT security, pci malaysia, PCI-DSS by pkfavantedge. Bookmark the permalink.